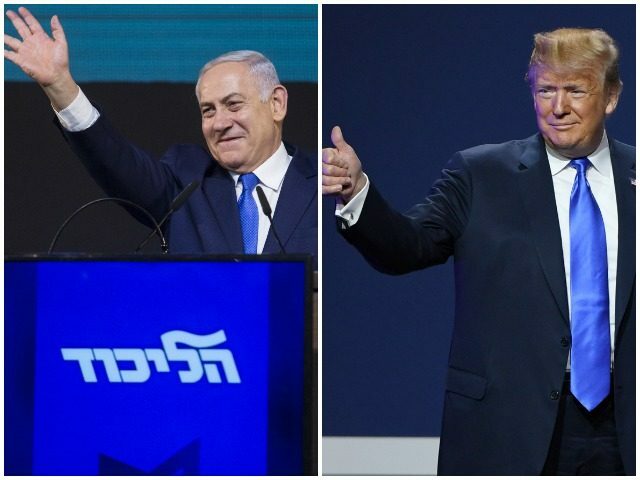 President Donald Trump congratulated Israeli Prime Minister Bibi Netanyahu on Wednesday for apparently winning a fifth term. The president acknowledged that his congratulatory message might be early but commented that it looked like Netanyahu was the victor. He also praised the prime minister for continuing to be a great ally with the United States. The president commented on Netanyahu’s election as he left the White House for a trip to Texas. Trump added on Wednesday that Netanyahu’s victory signaled a greater chance for peace in the Middle East.